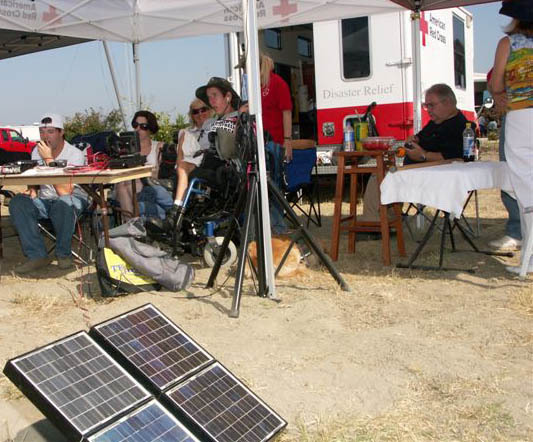 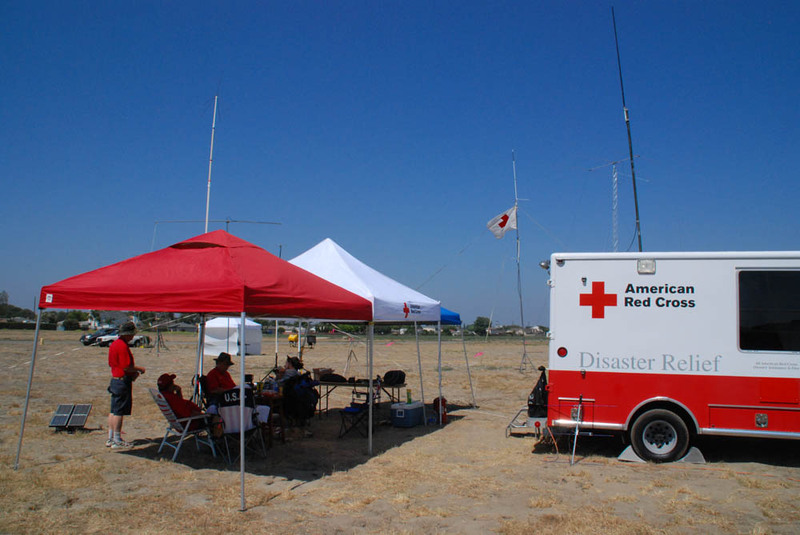 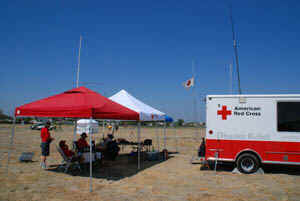 The Disaster Services branch of the Santa Ana Chapter of Red Cross set-up some of their equipment to help the OCARC with a VHF/UHF station on 144 MHz, 220 MHz, 440 MHz, and 1.2 GHz. Solar Power bonus points for Field Day were provided by the VHF/UHF station. Tom-KI6GOA of the Red Cross looks for supplies in the well-equiped Red Cross Disaster Services vehicle. 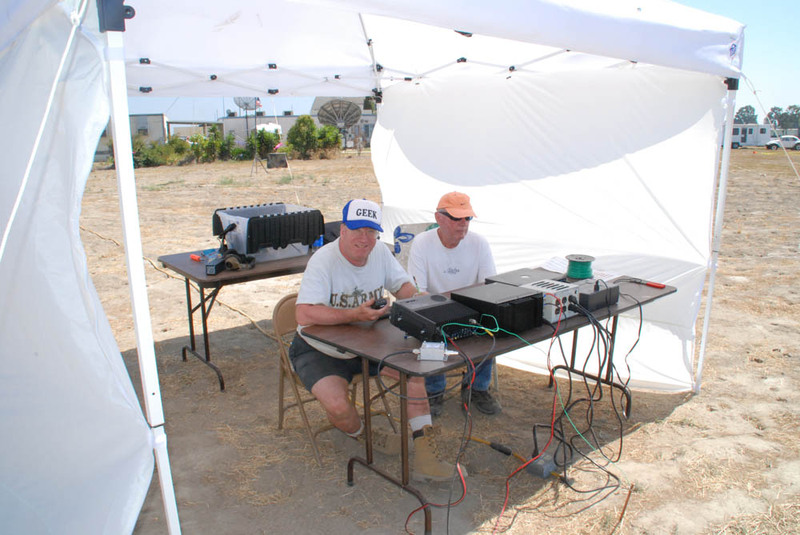 10M Phone made few contacts on Saturday, but there was a better sporatic-E opening on Sunday morning. 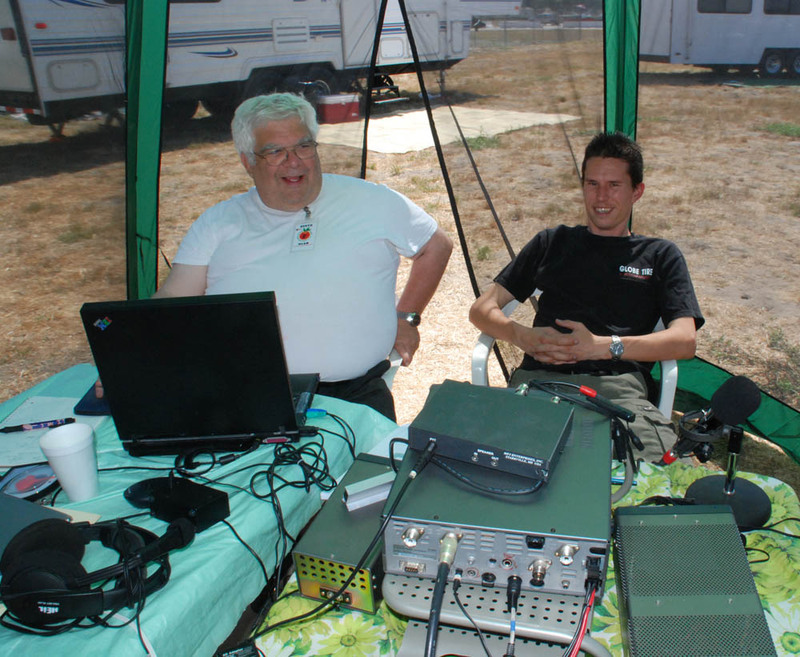 L-R: ?? 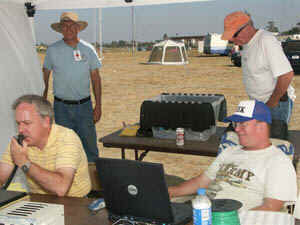 ?, Phil-N6FNT, Band Captain James AF6DE, and Larry-KR6LO (orange hat). 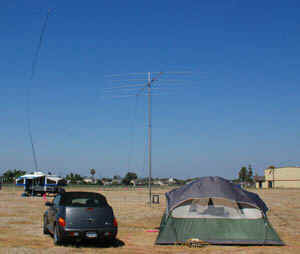 The 10M Phone station had a nice breezy tent set-up. Band Captain James AF6DE (L) takes a turn at QSOs, while Larry-KR6LO listens on. 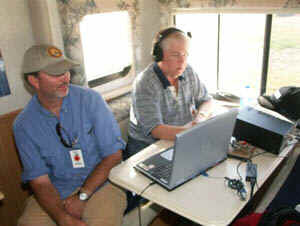 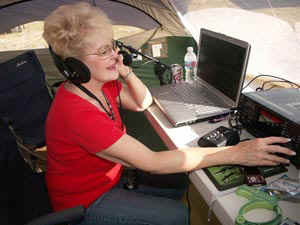 The Band Captain for the YL station shown here is Cheryl-KG6KTT. 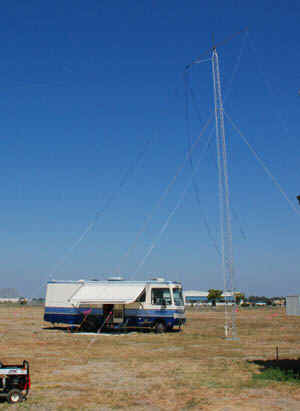 The YL station operated 15M phone and 80M phone this year. 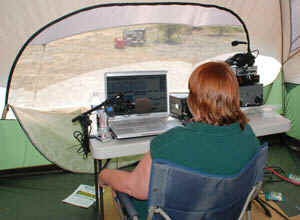 Sharon-K6IRD takes a turn working 15M phone in the YL station. 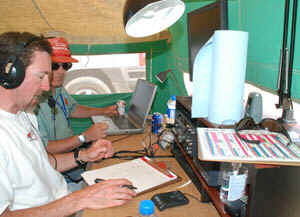 Kenan-N6CCE (L), the Band Captain for 20M phone, works through a pile-up while Bob-AF6C logs on the computer. 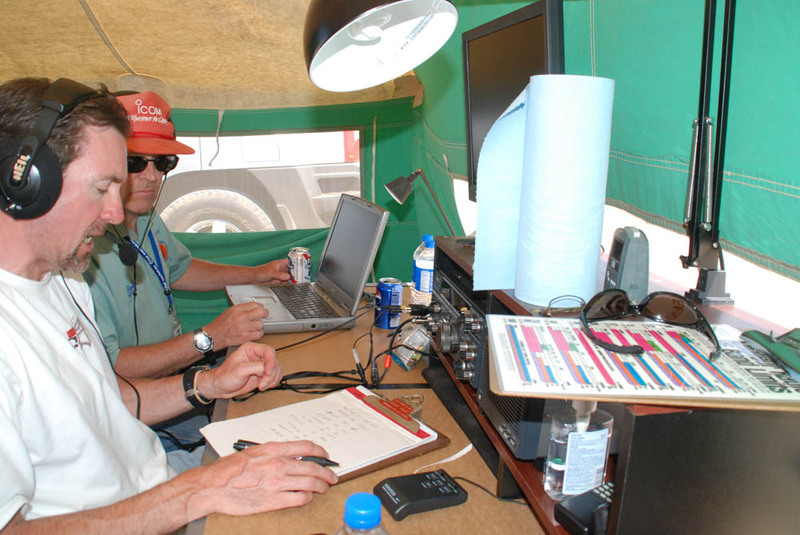 Ken-W6HHC works the pile-up on 20M phone by speaking into the ear-phone boom-mike with Bob-AF6C logging the contacts. 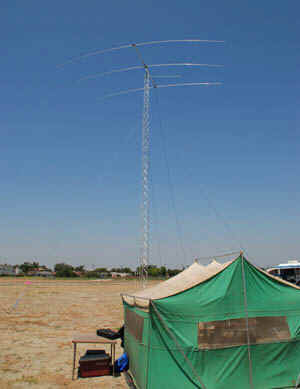 Here is the tent used by the 20M phone station. 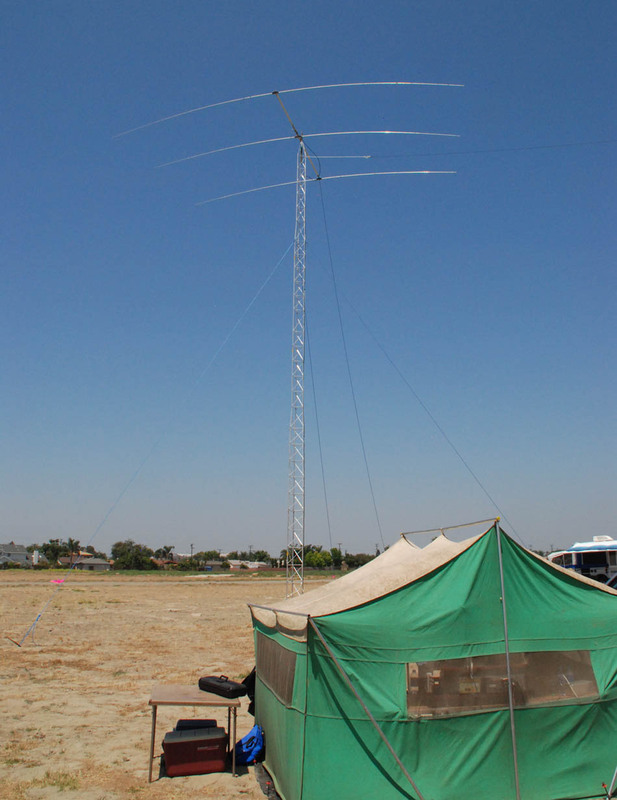 The club's new 50-ft high aluminum tower is shown holding the 20M beam. 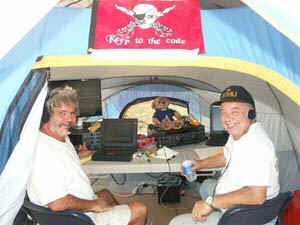 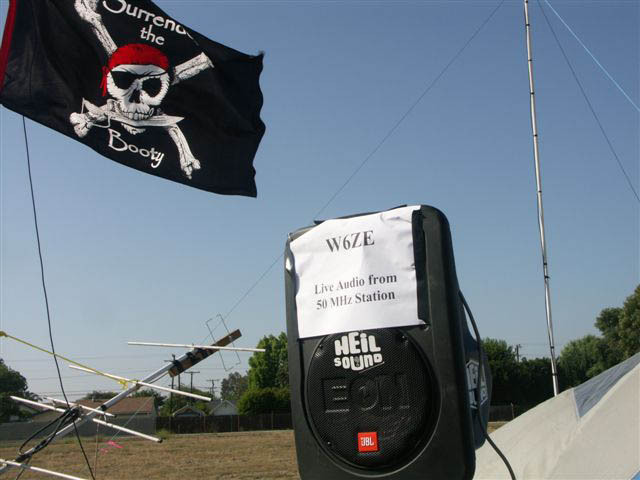 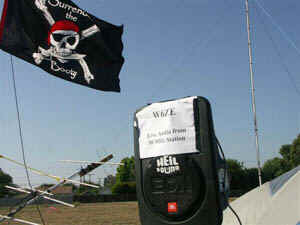 Larry-K6YUI is the Band Captain for 40M phone. 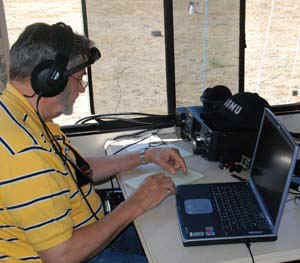 Here is Doug-W6FKX working his first FD pile-up on 40M phone. 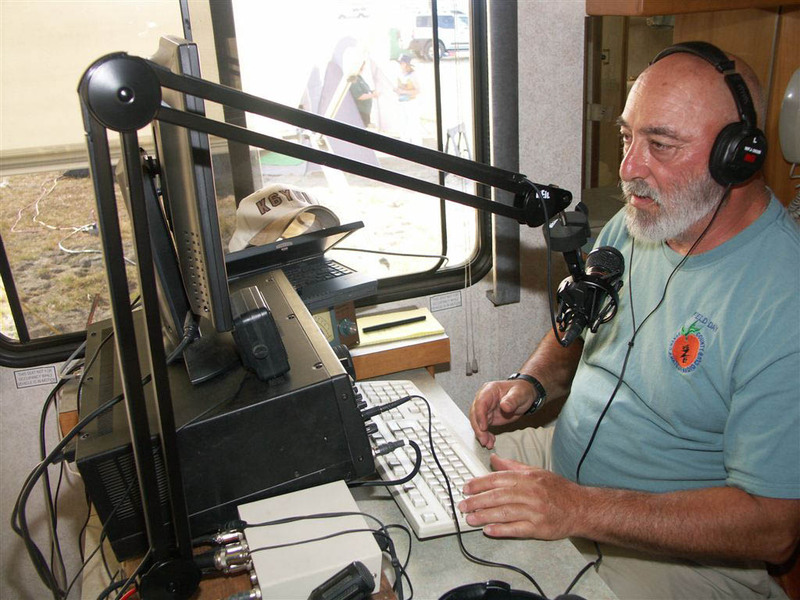 The motorhome of Bruce-KC6DLA served as the home for the 40M phone station. 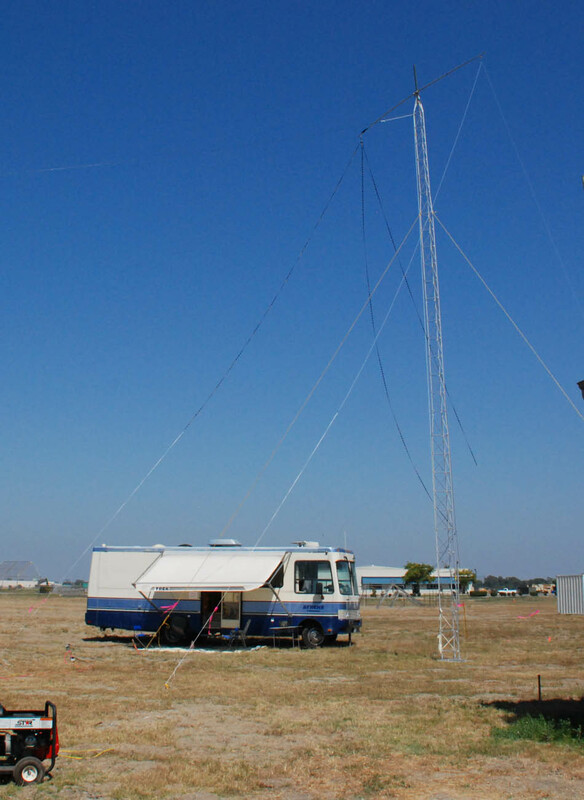 A 2-ele "inverted-V beam" was mounted at the top of the club's 50-ft aluminum tower. Band Captain Chip-K7JA juggled 40M CW, 15M CW, and 6M phone with a little satellite activity, too. Bill-W1HIJ help out with the CW pile-ups. In addition to working 50MHz, Band Captain Chip-K7JA got a few satellite contacts with the simple antenna shown on left-side of this picture.. The Band Captain for 20M CW is Paul-W6GMU (R) with Doug-W6FKX looking at the activity. 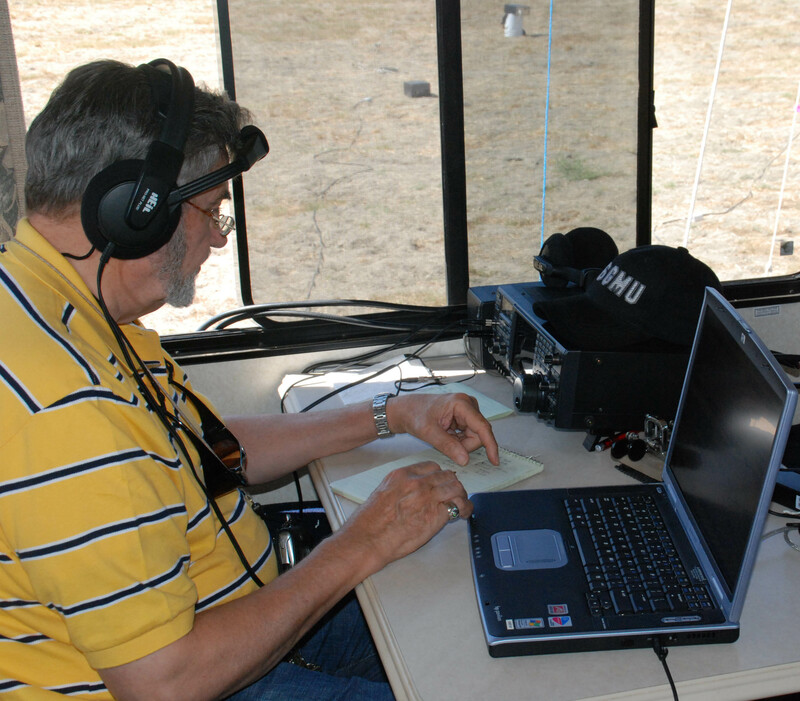 Ernie-N6HY takes a turn at working the pile-up at the 20M CW station. 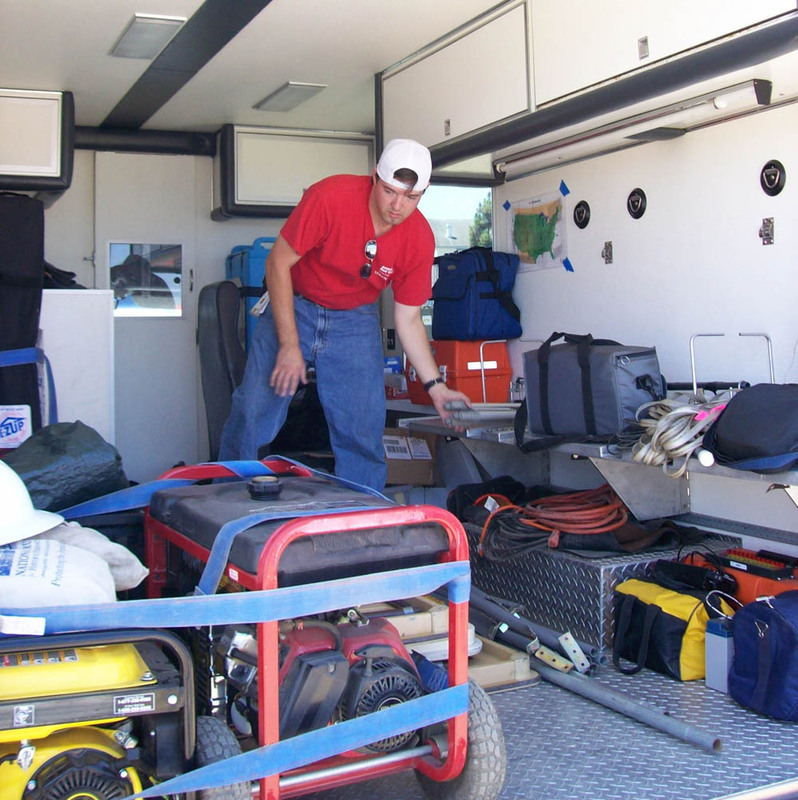 Sometimes equipment breaksdown during Field Day. 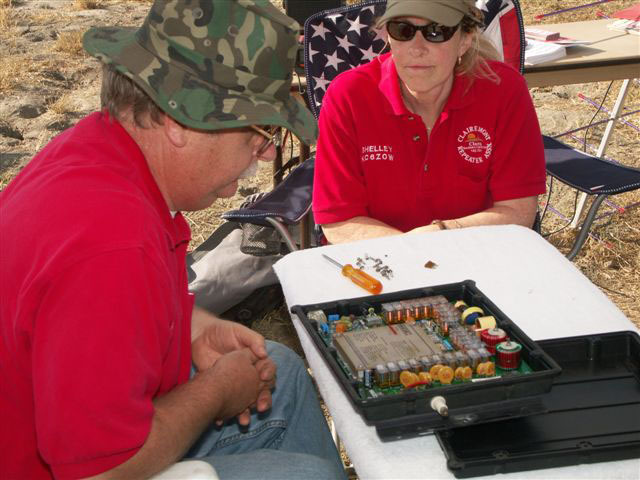 No, this is not a game of chess...but, Roy-N6SLD and Shelly KC6ZOW are looking at the internals of an antenna turner for signs of a bad component. 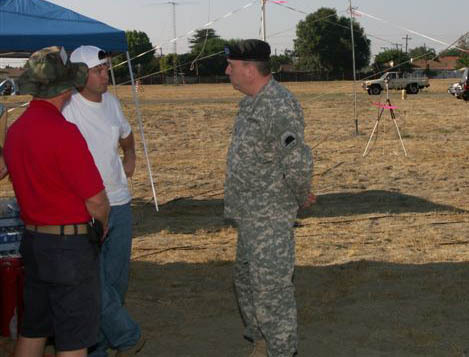 A friendly visit by the Base Commander who is talking to Tom Woodard-KI6GOA (white hat) at the Red Cross station and exhibit. 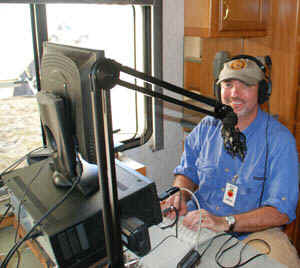 Steve-N1AB (L) was the Band Captain for the GOTA station. 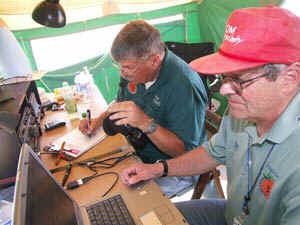 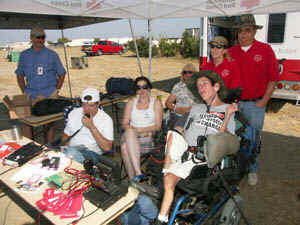 He is showing a new comer to ham radio how to operate for PSK-31 contacts.